The Cancer Research UK Boat Race 2018 will represent one of the peaks of the sporting calendar; a tradition respected and maintained across nearly two centuries through world wars and economic crises, whilst representing the self-same values that brought the contest to life 164 years ago. This year will see Oxford and Cambridge face each other for the 164th time on the Men’s side and the Women’s 73rd encounter. Both crews have been gearing up for the 4 and a quarter mile challenge throughout the winter and recent arctic temperatures covering countless miles whilst studying at two of the world’s most revered academic institutions. 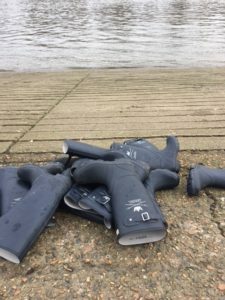 When the crews meet on Saturday 24th March underneath the struts of Putney Bridge, no stone will be left unturned in their pursuit of Boat Race Glory. 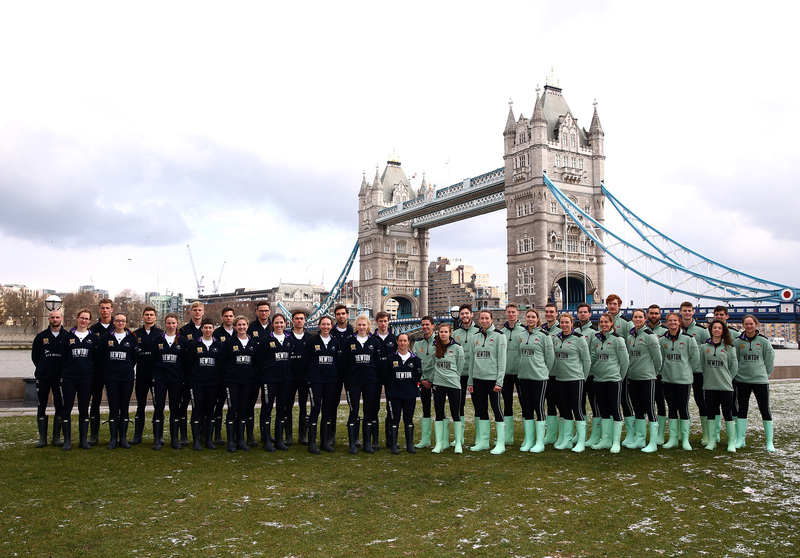 The Oxford crews wellington boots spotted on the Tideway whilst practicing. 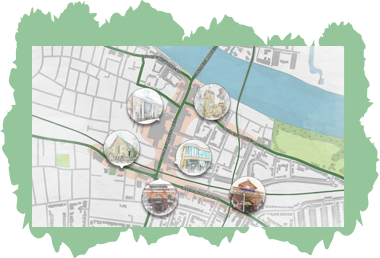 Where to watch in Putney? All along the Embankment is good to watch but it does get very busy so arrive early. Wandsworth radio will be hosting a live stage from midday in Church Square, bottom of Putney High Street alongside street foods and outside bars. In Putney Wharf in front of Carlucccio’s you can get a good view of the crews whilst warming up and you get to see the rowers close up before they start. 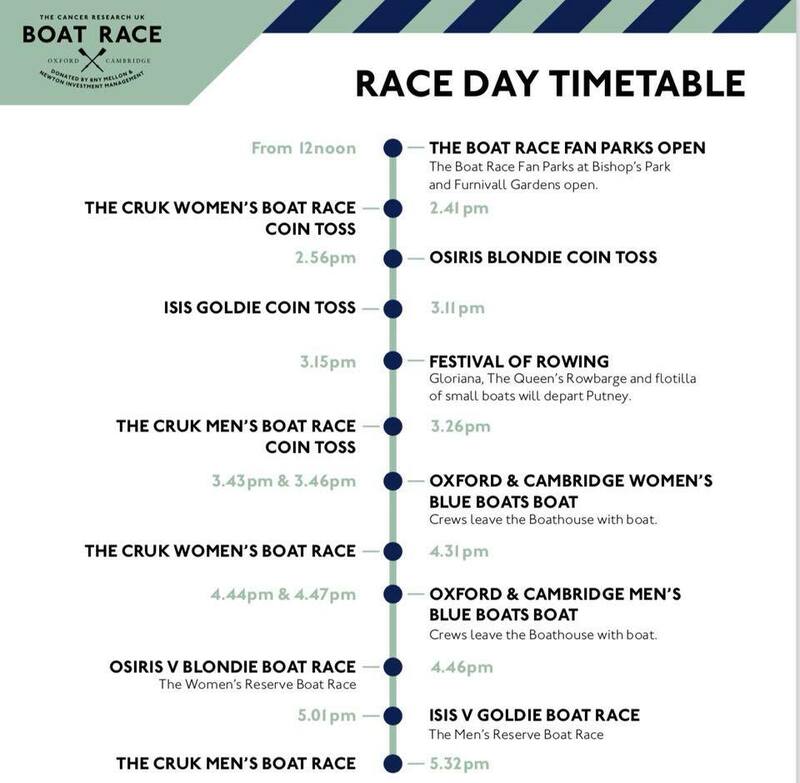 The atmosphere in Putney is always a great buzz on Boat Race day, where are you going to come and watch from? The Women’s race is 16.30 with the men’s race at 17.30. For more information visit the Boat Race website.